The Wellcome Library, one of the world’s most significant resources for medical history, and part of the Wellcome Collection, has partnered with Preservica to protect and future proof its 20TB and growing collection of digitised and born digital material. The Wellcome Library is one of the world’s major resources for the study of medical history. It houses an extraordinary range and diversity and has a growing collection of material relating to contemporary medicine and biomedical science in society. Digitised material includes images, modern and early printed books, archives, manuscripts and London’s Medical Officer of Health reports. This material is freely available on the web, creating a world-class online resource available to all. Among the materials being preserved are the papers of genetics pioneers including Francis Crick, James D Watson, Maurice Wilkins and Rosalind Franklin, whose collective work on the molecular structure of DNA won the Nobel Prize in 1962. The papers digitised by the Wellcome Library include over a million pages of original notes, letters, sketches, essays and photographs – revealing the personal and professional lives of the extraordinary minds behind one of the 20th Century’s biggest discoveries. The Rosalind Franklin papers, stored in Preservica include a digitised version of the famous ‘Photo-51’ Franklin’s X-ray of a strand of DNA that prompted Crick and Watson’s discovery of the double-helix shape, and the controversy behind which is the subject of a new play starring Nicole Kidman. Preservica started working with the Wellcome Library in 2008 to store the Library’s collection of digitised and born digital materials. Most recently it has been working to support the Library’s digitisation programme by preventing obsolescence of file formats and providing a platform to manage the process of preserving content to ensure access into the future. The collection is being held on Preservica Enterprise Edition, a fully customisable on-premise digital preservation platform, which facilitates public access to the Library’s digitised materials to enable the safe sharing and viewing of its digital collections. It includes 85,000 items (books, posters, paintings, videos) and just over 12 million JPEG2000 images. On average 11,000 users view an item in the player each month. The historic nature of the collection is demonstrated by a recent project to digitise the London Medical Officer of Health reports from every local council in London from 1850-1974. These detail the public health history of the city by borough over that period and include such fascinating statistics as: the number of houses destroyed by the Blitz; TB testing from 1914-1916 due to WW1; the cost of building public urinals at that time, and a rabid dog count by borough. The Library is currently adding an average of just under 1 Terabyte per month to Preservica. The Wellcome Library anticipates having over 25m images in the collection by next year. 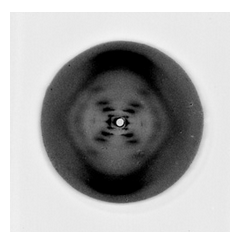 * The Rosalind Franklin archive is held at Churchill Archives Centre, Churchill College, Cambridge, and Photo 51 is held by Kings College London Archives. The archive and Photo 51 have been digitised and are available on the Wellcome Library website. The Wellcome Library is one of the world’s major resources for the study of medical history. It houses 2.5 million items of extraordinary range and diversity and has a growing collection of material relating to contemporary medicine and biomedical science in society. The Library’s digitisation programme will make a substantial proportion of its holdings freely available on the web, creating a world-class online resource. The Library is situated within Wellcome Collection, the free visitor destination for the incurably curious and is part of the Wellcome Trust, a global charitable foundation dedicated to improving health. Preservica is a world leader in digital preservation technology, consulting and research. Our active preservation solutions are used by leading businesses, archives, libraries, museums and government organizations globally, to safeguard and share valuable digital content, collections and electronic records, for decades to come. These include the European Commission, the Met Office, Texas State Archives and HSBC, to name a few. Preservica invests in many research initiatives in digital preservation and is a well-respected member of international collaborations with academia, archives, libraries and corporations at the leading edge of this emerging field. It is part of Tessella group, the international analytics, software services and consultancy company. For further press information or enquiries please contact Sally McDonald on smcdonald@thecommsco.com / 07808 241 268 or Ilona Hitel on ihitel@thecommsco.com / 07734 355205.